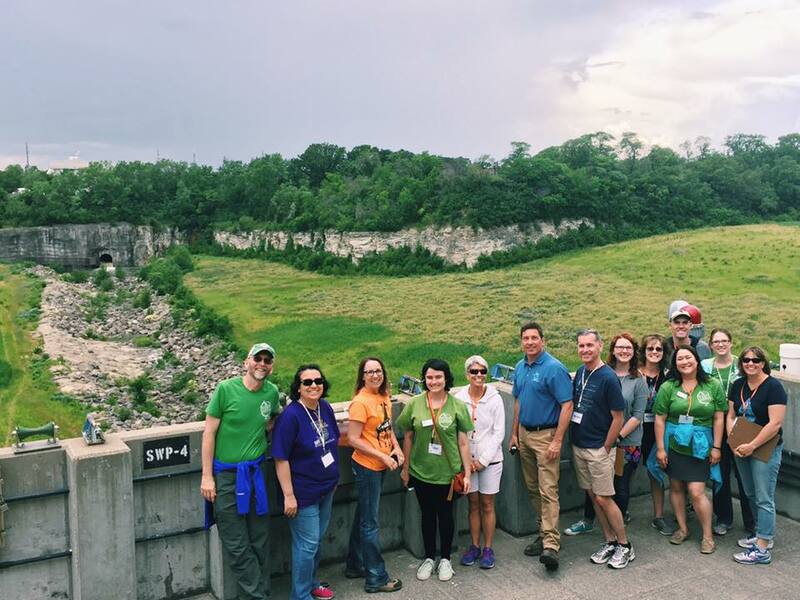 Visit the Elmhurst Quarry on a class field trip complete with a guide from DuPage County Stormwater Management. Join us for an eye-opening, week-long experiential graduate course. These courses are designed to align with NGSS. Here's your chance to dive into water! Led by experts in the field, we'll get a unique behind-the-scenes picture of the infrastructure and ecosystem services we benefit from every day. Get ready to make a splash in your classroom come fall! 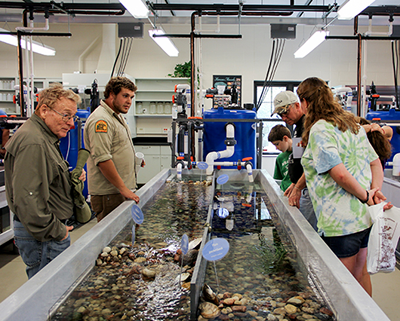 Learn about the local endangered species this lab is breeding to restore waterways right in our backyard - rarely open to the public. Investigate the life-cycle of the stuff we make, use, buy, and throw away each day. Learn from experts about the human impact on the environment - for better or worse - and ways to make a difference. Featured Stop: Willow Ranch Compost Facility View compost in action! Get up close at a large-scale facility that transforms food scraps and yard waste into nutrient-rich compost. There are so many organizations to highlight! Among them, Winfield Middle School and Waubonsie Valley High School go green with energy projects, and York Center School eco-club students win their campaign to fight plastic pollution at school. Twenty-eight teams from four high schools participated in this year's design challenge. These lucky students learned directly from professionals in sustainable design and toured local green infrastructure. If you teach at a DuPage County high school, learn how to get your students involved for 2019! The Sustainable Design Challenge can be a supplemental activity to a class, a club project (eco-club, architecture...) or be a club of it's own. Don't let your students miss out on this opportunity for another year longer! 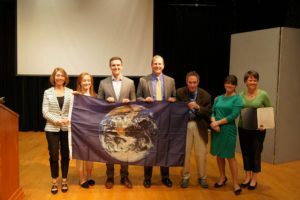 Avery Coonley School in Downers Grove and three local businesses were awarded environmental flags in April. Learn about their achievements. Turn your school into a real-life experiment in renewable energy! K-12 schools can apply for funding to install solar photovoltaic panels or a wind turbine. Applications are due August 28th. Join us to kick off the growing season! Pick-up local, sustainably grown veggie seedlings, native plants and trees, and food-scrap amended compost. Shop our market for eco-friendly garden goods and learn how to green-up your green thumb from vendors and free mini-workshops on permaculture, beekeeping and more. "If a child is to keep alive his inborn sense of wonder, he needs the companionship of at least one adult who can share it, rediscovering with him the joy, excitement, and mystery of the world we live in". Volunteer at SCARCE this Summer! School may be out but SCARCE is open all summer long! Volunteer at SCARCE and get first dibs on the truckloads of donations being dropped off each week while supporting your favorite resource for books and supplies. Get your students organized to help clean up our rivers! Individuals can join a group or establish a group for your school by becoming a group coordinator. We will have brand-new teaching supplies available for $2 and less thanks to a generous donor. All proceeds will support our Book Rescue resource center. May 17 Green Drives Green Your School Fleet! Thank you to our April Volunteers! Benet Academy students lent a hand at SCARCE. SCARCE Book Rescue Mon-Fri 9am-4:30pm All summer long!